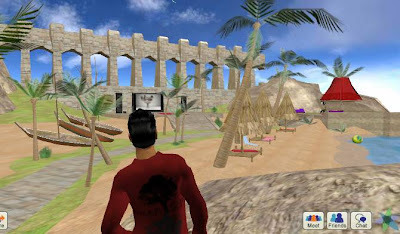 Vivaty is one of the new platforms that have bring 3D to social sites like Facebook or AIM. The difference of Vivaty is that they are focused on X3D and COLLADA, which are open standards, not proprietary formats. When you build models and worlds in an open standard, you can recycle much of your old works to be used in services that also use that standard. Many of the worldbuilders that have works on VRML or X3D can recycle them and take part in the new developer's program of Vivaty (Vivaty Create). 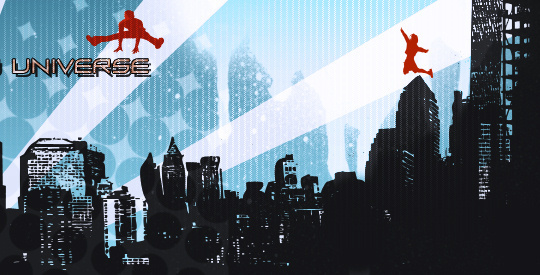 Your participation can be rewarded with prizes and being showcased in their site as a 3D artist. They also updated their legal terms, and you just give them a non-exclusive right to use the submitted models, so you don't loose your property and you can still send your models to other contests. No one can explain us better why they chose X3D like Tony Parisi. He is the Co-Founder, Vice President, and Chief Platform Officer of Vivaty, but also the co-father of VRML (alongside with Mark Pesce) and the editor of the X3D specification. It's an honor for me to offer this interview to Hiperia3D News' readers. 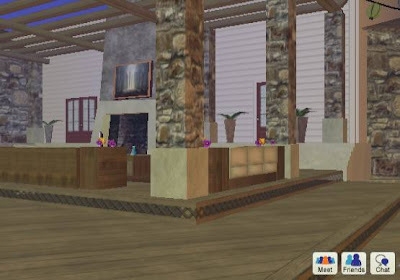 - Vivaty is taking X3D to the place that many users wanted it to be: multiuser 3D worlds. As co-creator of VRML, editor of the X3D spec, and VP of Vivaty, was this aim in your mind since the founding of Vivaty? - To us it’s not about a specific technology. It’s about the user experience – a virtual experience integrated with the rest of what you do on the web. We want to create an ecosystem that encourages multiple levels of creation, sharing, customization, and personalization. This dictates that using open technologies, and X3D is one of many things we use because it fits the bill. We also use other open technologies in different parts of our application development process, such as COLLADA, and standard supported by all the major content creation tools (Max, Maya, Sketchup, Blender, etc). - X3D is often used for scientific, military and medical applications. Vivaty has innovated using it also for multiuser 3d worlds. What are the advantages of X3D for this? - We believe the future of multiuser 3D worlds is on the Web and X3D is very web-friendly- it’s light, it streams 3D content and it integrates well with XML and other web data. - Did you consider choosing another file format, or did you see it clearly from the beginning? - When I started doing this, there were no other open technologies for building virtual worlds. We had seen a lot of proprietary technologies come and go, so we decided to make a bet on an open approach. We’re glad we went with open formats like X3D and COLLADA. - Models for Vivaty Scenes need to be optimized in order to be accepted in the developers program. What tools would you recommend for this optimization? - When you say “optimized”, I assume you’re asking about our texture limits. Rather than thinking about how to optimize a huge file into Vivaty Scenes, we’d love to find developers who are thinking about the right approach to creating for the medium. What’s compelling and fast to load? We are certain that most people developing in other platforms can find something they’ve done that would work well (or even better) on the web. For starters, more people will see it!